I have some problems about I-tech Clip S Bluetooth stereo Headphone. 2. I go to a shop and test my E680I with I tech Clip S.
3. My E680I successfuly connect with Clip S and can be used to make phone conversation. 5. 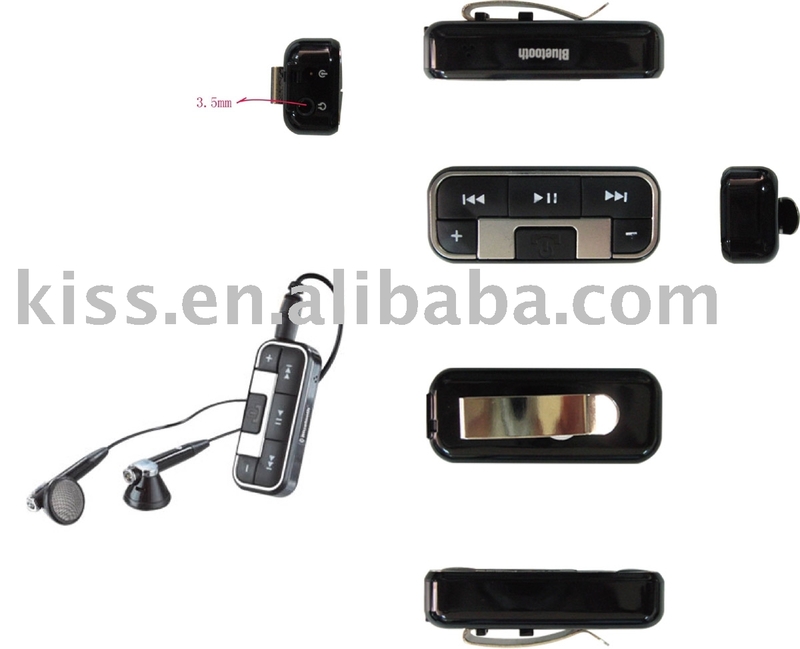 I have heard that many clip S on the market is solely for Nokia phone so that it fails to play mP3 with my E680I. 6. DO YOU KNOW WHERE I CAN BUY A COMPATIBLE CLIP S TO PLAY MP3? Correct, both ClipS and Clip S35 are useable with E680i for stereo MP3 playback. 擒日東方日報副刊科技版介紹�罏lip S and Clip S35 可以用�豋60 smartphone and Moto E680i. I saw that article too. Not as clear as Previa explain in the forum. which brand model can use on V902sh? Thanks for sharing all those good stuff. MMS / SMS 訊 息 提 示 既 藍 芽 耳 機 (HS-12W) . 以 上 既 配 備 係 我 一 直 所 期 待 , 而 家 終 於 等 到 啦 !! 希 望 佢 唔 會 淨 係 可 配 合 Nokia 既 手 機 . 這樣的配置.... 價錢可能成部普通手機; 而藍芽發展太快, 到佢出完唔使幾耐就有另家廠有同function的出, 保直力可能都係3~4個月. 係 啦 , 無 得 配 耳 筒 係 一 個 遺 憾 ! Previa 兄 有 無 計 劃 會 出 呢 款 類 型 ?? Hi are there any bluetooth stereo headset that is compatible with Z800? 想問下Motorola HT820呢款耳機可吾可以係 e680 i 聼FM...點分邊D係行貨，邊D係水貨ar? i-Tech Clip S35 可用自己的3.5mm 身歷聲耳筒. E568 是用藍芽版本 1.1 / 1.2 呢? 作者: previa 時間: 2005-12-5 03:11 PM 標題: 少有的牌子藍芽耳機. 請問 "i-tech Bluetooth PowBOX " 可否適用於 LG U8330C, nokia 7370? 及它現在的售價大概是多少? anyone know the cheapest price and store that has the clip s35?? I am using SE w800i. Which bluetooth headset can be used? 作者: onon2005 時間: 2006-3-2 05:04 PM 標題: 請問諾基亞無線立體聲耳機 HS-12W出左未? 售價多少? 好用嗎?? thank you !! Does Nokia HS-12W 無線立體聲耳機 support SE Z800i? Can anybody please advise which bluetooth headset best support SE Z800i? I want the bluetooth headset can play music from my mobile phone and it has radio function too. Thanks! 唔知呢家 CLIP S38, R35, IIS 幾多錢呢..
作者: mymok 時間: 2006-8-21 06:37 PM 標題: Q: Lanso A6-3 得唔得? 作者: abc88 時間: 2006-11-10 07:43 PM 標題: 點樣可以用藍牙耳筒在msn聊天? 我想問下 Nokia HS-12W why 會disconnected and turn off when i try to play mp3 with N95? 我現在也有用都算幾好, 因為用線接駁配件如MP3,PPC,CD Walkman等機聽音樂, 所以沒藍牙的干擾及音質差的問題, 又不會聽聽下歌斷幾斷音訊; 只可惜Clip M沒有Buzzer是一大敗筆之作, 而且電的續航力也不是很好. 作者: 巴迪斯淫賊 時間: 2007-12-1 06:44 PM 標題: OMIZ 5110 立體聲藍芽耳筒有無人用過? 今日部 itech radio 壞咗,要 send 去修理,點知個職員話冇得修理, 只可以用 $410 一換一.只係用咗年半就玩完. 我用緊NOKIA 5530, 用NOKIA藍牙立體聲耳機 BH-504 定BH-604好D? 5.remember this MW600 only can take only 1 phone to use cal in n out ,cant use same time together. cant music come out ,my i phone still have the play logo show out, but Mw600 no music out so i need restart the MW600 again , after can use ready . dont knw y like that . is it like that???? i also try find out nw . hope see who use is it same like that. thanks.pls take note. because i think anot ppl use this two phone nw at market. 作者: 晴格格 時間: 2010-8-5 09:45 PM 標題: 想買 藍芽耳機 邊隻好? ?